This is one of my favourite recipes at the moment, I’m probably making it at least once every 2 weeks. 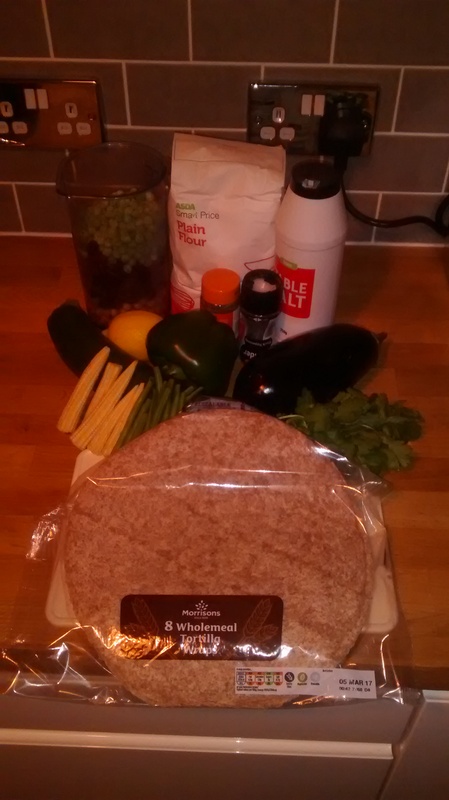 Not only do the falafel taste delicious, they are budget friendly too at around £2.50 per serving (less if you are using leftover veg). 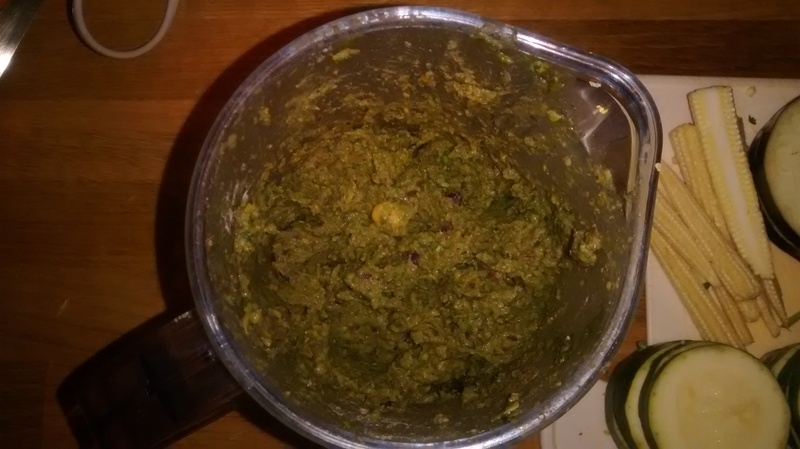 Collect your ingredients together and start by blending the chick peas, kidney beans, frozen peas, corriander and lemon zest together. 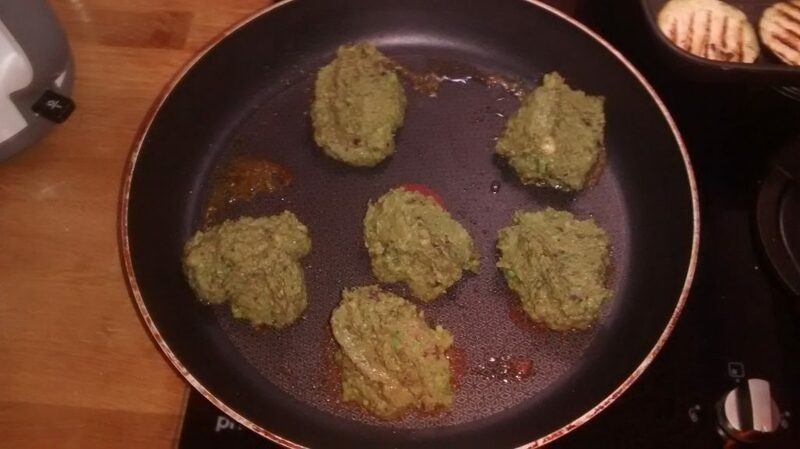 Check the consistency of the falafel mixture. If it doesn’t stick to a spoon when held upside down add a tablespoon or two of flour to thicken. 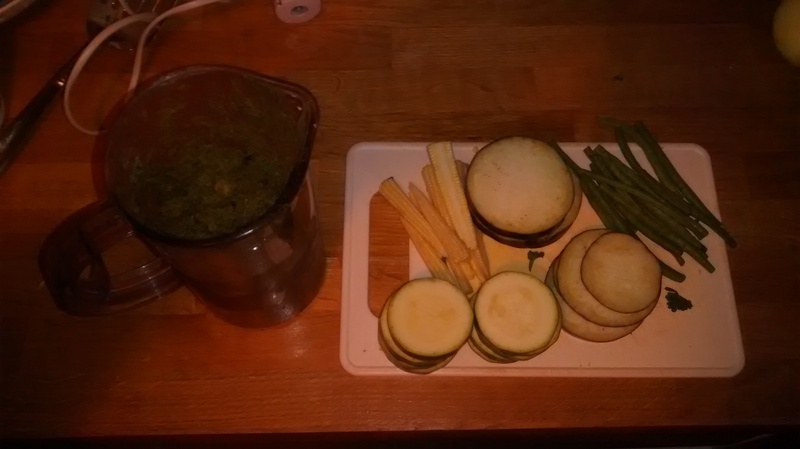 Once you’re happy with your falafel mixture, start chopping your vegetables. 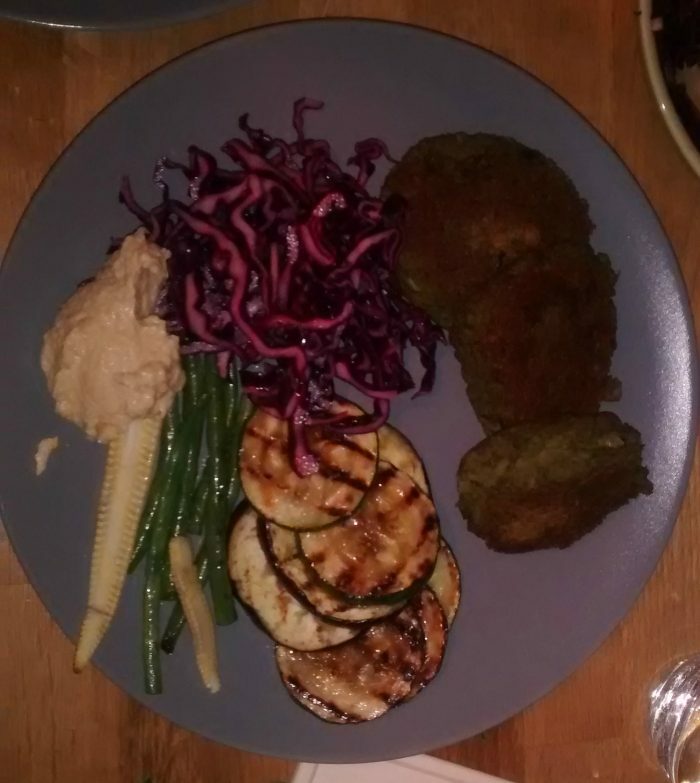 You can use any veg you like, courgette’s and aubergines are great with this meal but I also had some leftover baby corn and green beans which I added. 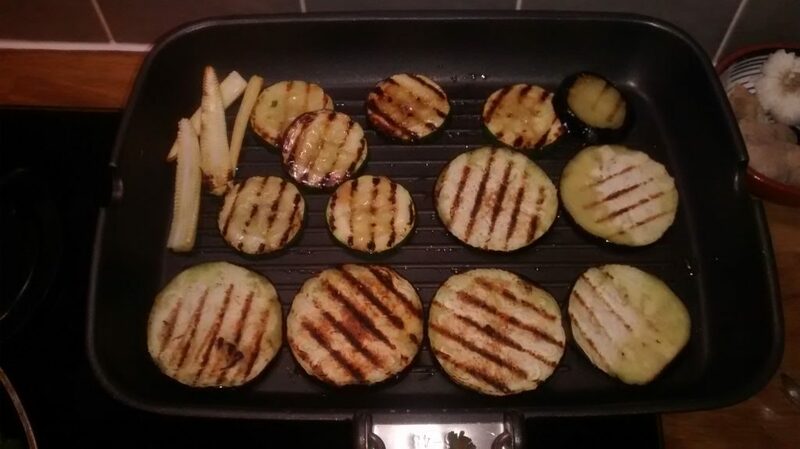 Next add your chopped veg to a preheated frying pan with a little bit of olive oil. 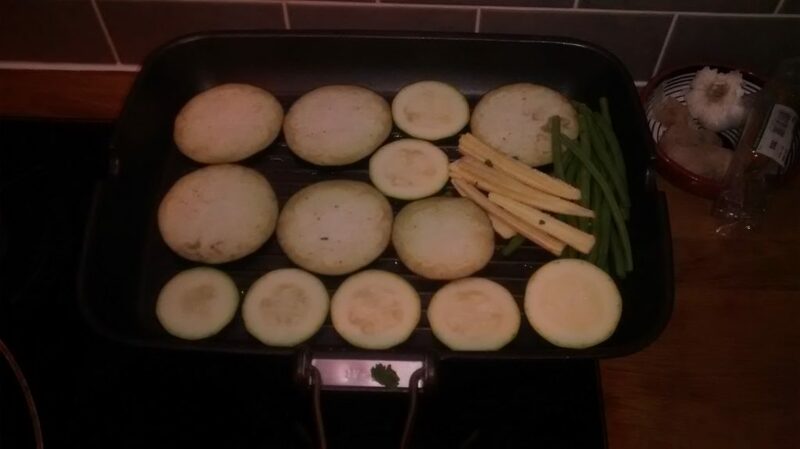 I’ve used a griddle pan but if you don’t have one, a normal frying pan is fine. 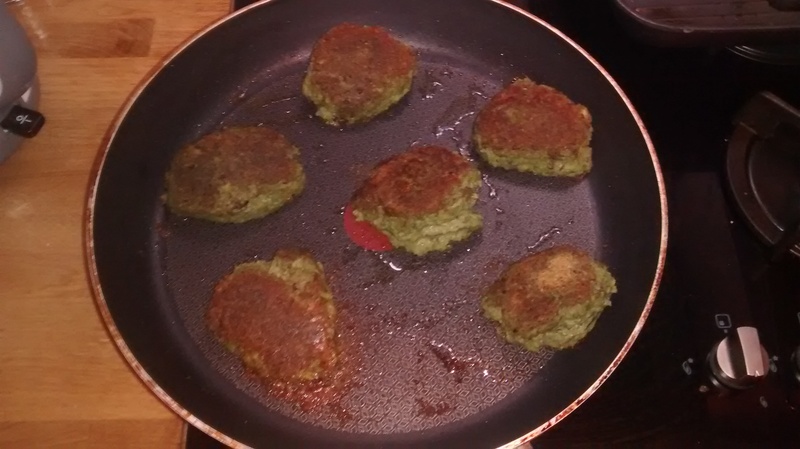 With the vegetables frying separately put another frying pan on the heat with some oil and add your falafel mix. Don’t worry about shaping the mixture, just spoon a dollop into the pan and they will shape themselves as they start to cook. Whilst the falafel and veg are cooking you can prepare the pickled cabbage. If you have jarred cabbage this is good too. I had half a cabbage leftover in the fridge so I used this. 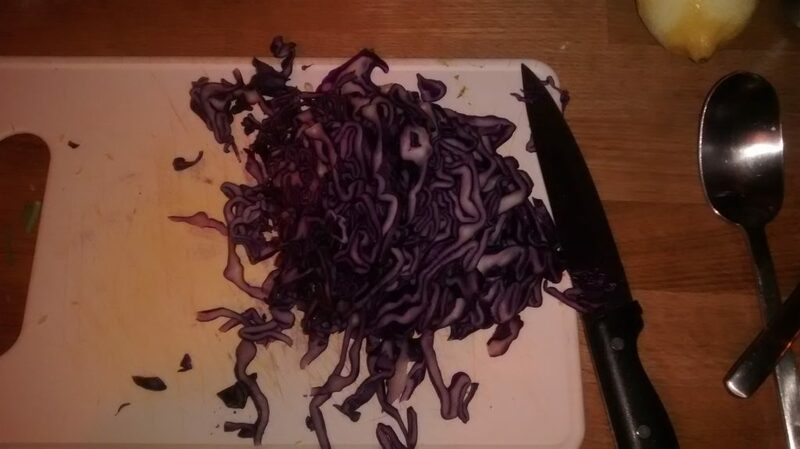 Chop the cabbage finely and add to a bowl. To the bowl add 2 table spoons of cider vinegar if you have it. If not, normal vinegar should be fine. Back to the veg. 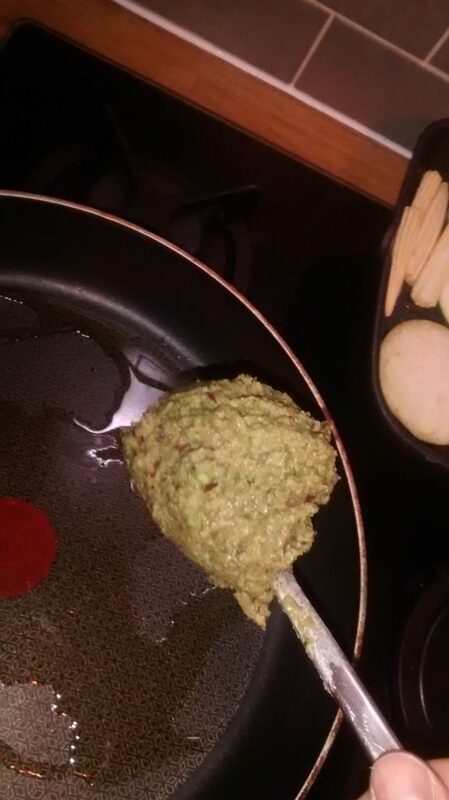 Fry on each side for 3 minutes or until there’s a bit of colour added. The falafel take a bit longer. Fry on each side for about 5 minutes. As you turn them they will flatten down into a kind of burger shape. Fry until they are are cripy on both sides. Serve all the elements on a plate with your choice of houmous, mayonaise, tortilla wraps or pitta and enjoy!